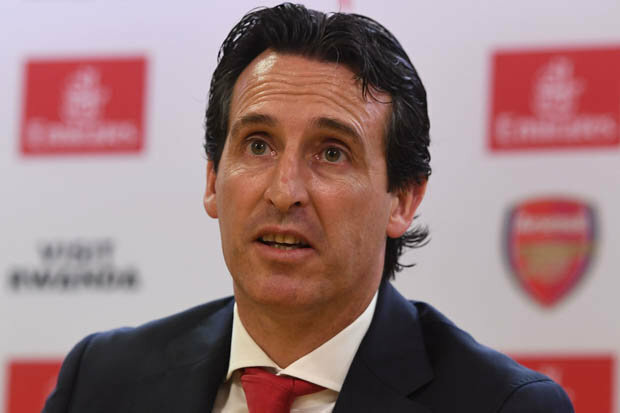 The Unai Emery era is underway at Arsenal and there are already questions of tactics and personnel for Gunners fans to gabble about. When you’ve spent nearly £20,000,000 on a new goalkeeper in Bernd Leno, it was surprising to see Petr Cech start the Premier League season opener against Manchester City as captain. It can be easy to read too much into this, however, as club skipper Laurent Koscielny is a long-term injury absentee after rupturing his Achilles towards the end of last term. In the wake of the 2-0 home defeat by City, there has been some criticism of Cech over distribution with his feet. He has kept over 200 Premier League clean sheets, however, in a stellar career since coming to England in 2004 that has seen him win every major trophy with Chelsea and then the FA Cup at Arsenal. If Emery wants to play out from the back, then new stopper Leno may be a better bet. While he lacks the hundred caps plus pedigree of Cech, the goalkeeping department has obviously been a lot more competitive in his native Germany. There looks to be an element of succession planning behind landing Leno, as he’s a decade younger than Cech and has come through in an era where goalies being useful on the ball as sweeper keepers is more important. There’s erstwhile Bundesliga and Die Mannschaft rival Manuel Neuer to thank for that. Where to play Mesut Ozil? 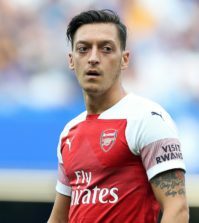 Now retired Germany international Mesut Ozil started in a nominal wide left position against City, but was moved into a central supporting role when Emery somewhat surprisingly hauled the relatively effective Aaron Ramsey off just 10 minutes into the second half. Coming into this off the back of a World Cup where he felt he was scapegoated for Die Mannschaft’s dismal attempt at defending the global crown they won four years ago, Ozil arguably has plenty to prove. He needs to start turning up in Gunners games or the odds on Arsenal to win league 2019 will get even bigger than the almost 50/1 on offer through the Betfair Exchange. 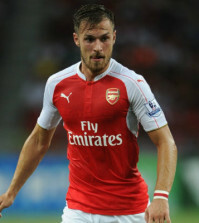 If Ozil can cause problems from the left flank, then that would free space up for a midfield runner like Ramsey to occupy. If not, he needs a run of games as the central playmaker and needs to deliver regularly in that position if Emery is to make strides in his first season and challenge for the top four. Switzerland anchorman Granit Xhaka was pretty anonymous against Man City. You hardly heard the commentators mention his name. It cannot be easy imposing yourself in midfield when you have to live up to the imperious Invincibles who dominated the engine room courtesy of Patrick Vieira. 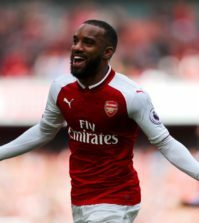 There was the customary booking for Xhaka of course, but as the senior partner in a deep-lying duo that contained top-flight debutant Matteo Guendouzi – just 19 – he just didn’t put himself about enough. It wasn’t even the City first string of Kevin de Bruyne and David Silva he had to shield the back four from either. Signing players on World Cup form should always come with a warning label, but there was a tenacity about the way Lucas Torreira recovered possession and got Uruguay on the front foot during the tournament finals in Russia. And by tenacity, we’re talking within the rules of the game unlike some South American exports. Having splashed over £25,000,000 on taking Torreira to the Emirates from Serie A side Sampdoria, Arsenal look to have signed a hugely promising if still young holding player. Don’t be fooled by his diminutive stature, that low centre of gravity may be just what Emery needs if Xhaka cannot live up to his own price tag.